Will Smith Reportedly Won’t Be on the Roster of the New Suicide SquadAre you a murderer and/or monster looking for an exciting employment opportunity? James Gunn Might Direct the New Suicide SquadIt’s a re-sequel-boot-launch. A Jared Leto Stand-alone Joker Movie Is Definitely HappeningThis is not to be confused with the Joker origin story that is possibly starring Joaquin Phoenix. Margot Robbie Is Developing Yet Another Harley Quinn MovieNo not the Joker one or the Gotham City Sirens one — a different one. Jared Leto Is ‘a Little Confused’ by the Multiple Joker Movies in the WorksSame. What Will You Do If Suicide Squad Wins an Oscar?It could happen. Prepare yourself. Mel Gibson Directing Suicide Squad 2 Would Be So Weird for Many ReasonsOscar-nominated directors don’t usually board superhero franchises. 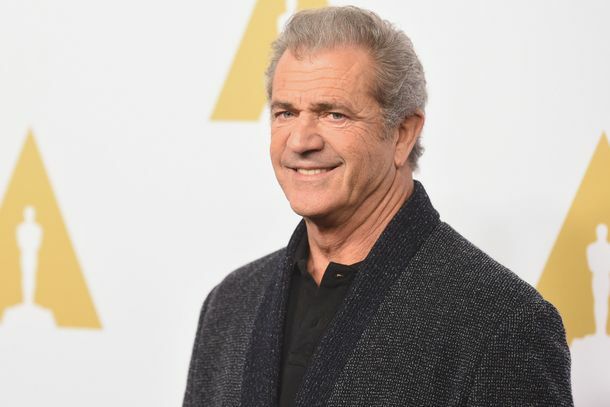 Mel Gibson Reportedly in Very Early Talks to Direct Suicide Squad SequelHis much-criticized comeback continues as Warner Bros. superheroes flail. 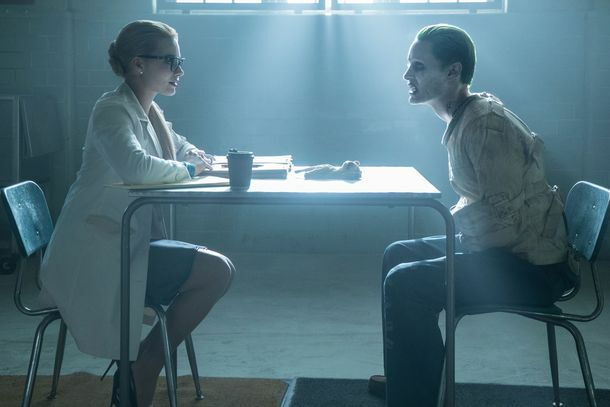 Director David Ayer on Suicide Squad: I ‘Wish I Had a Time Machine’His solution somehow involves more Joker. Here’s How Suicide Squad, a Bad Movie, Could Still Win an OscarLuckily it has nothing to do with Jared Leto’s method acting. Here’s a Suicide Squad Blooper Reel, If You LikeViola Davis is fond of the s-word. What Does It Mean for a Movie to Be Record-breaking in 2016?An investigation into monthly high-water marks. The Suicide Squad Soundtrack Also Had a Killer First WeekOnce again, Drake was bested. Suicide Squad Drops Sharply at the Box OfficeMeanwhile, Sausage Party is partying. Joel Kinnaman Is Glad Suicide Squad’s Bad Reviews Lowered ExpectationsAnd, looking forward, he’s in a new indie thriller called Edge of Winter. Don’t Blame Critics for Suicide Squad’s FailingsIt’s possible that the original Suicide Squad cut was lousy, too. But it would have made considerably more sense. Rap Pair Die Antwoord Say Suicide Squad Ripped Them OffIn the look of Joker and Harley. Album Review: Suicide Squad SoundtrackThe Suicide Squad soundtrack is a neon nightmare. Did Suicide Squad Even Need the Joker?A dialogue on the Clown Prince of Crime. Is the Gambit Movie Avoiding Suicide Squad’s Failings?It’s taking its time, which could be a good thing. Suicide Squad’s Records Are Nice, But Its Run Probably Won’t End WellDC does not want to find itself in the position of needing to convince ostensibly loyal fans to actually see its films. Suicide Squad Dominated the Box Office This WeekendAre you really that surprised? Leto Drops by Skrillex and Ross’s Music VideoHe’s on a boat! Zack Snyder Directed a Suicide Squad SceneIt was pretty brief. Suicide Squad Might Not Make It to ChinaIt happened with Deadpool, too. Suicide Squad Is on Track to Break RecordsA massive opening weekend doesn’t make a long tail. The Progressive, Controversial History of Suicide Squad’s Amanda WallerViola Davis’s character was a comics game-changer. Suicide Squad Was Recut to Be Like Its TrailerWith the help of the company that cut the trailer. Suicide Squad’s First Trailer Is a Better Movie Than the Actual MovieIt promised nihilism; the film was heartfelt. Suicide Squad Fans Petition Rotten TomatoesMisguided vigilante justice for the internet age. Suicide Squad Should Have Been Kept Locked AwayAs storytelling, DC’s latest is the worst of the worst. Ike Barinholtz Was ‘Sexually Menaced’ by LetoHe also had the workout of a lifetime. What Critics Are Saying About Suicide Squad“This botch job makes Fantastic Four look good” might just be the harshest sentence ever written. Harley Quinn and Beyoncé Have Made 2016 the Year of the Baseball BatIt’s this year’s weapon of choice. What the Suicide Squad Looks Like in the ComicsWait ‘til you see Cara Delevingne. Suicide Squad Isn’t Very FunnyA quick heads-up. Five Suicide Squad Comics to Read Before Seeing the MovieIf you’re looking to bone up on the Squad in advance of this weekend’s movie release, start here. Ezra Miller’s the Flash Will Appear in Suicide SquadHe reportedly filmed during the Suicide Squad reshoots.